For 24 years we have brought smiles and entertainment to thousands of children and families in Shropshire and the West Midlands. 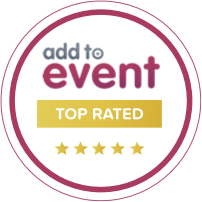 Our parties are suitable for ages 2-16 years; we have even entertained the Mums and Dads too! Children's parties normally last about 2 hours but we cater for shorter and longer parties depending on how many guests you have attending. With more than 24 years experience you can be assured of our quality, creativity, professionalism and reliability. Rainbow Faces Ltd are famous for their unique and colourful work with an amazing face painting team. For further information on the type of packages we offer for parties please email sales@rainbowfaces.co.uk, including your location, party date and time so we can provide an accurate quote and advise availability. Please note, our parties are only available in Telford, Shrewsbury, Shropshire, Staffordshire, Wolverhampton and Birmingham areas.